Cover the wall sheathing with a water resistant barrier, lap joints 4″. Then, per your local building codes, install lath or mesh using galvanized nails or staples 6″ on center vertically and 16″ on center horizontally, penetrating the studs a minimum of 1″. Stop lath from the finished edges. Install paperbacked 3/8″ rib expanded metal lath to metal cladding supports of 20 ga. to 12 ga. using United States Gypsum Company’s 1-1/4″ type S-12 Pancake Head Super-Tite screws. Screws must penetrate 3/8″ beyond the inside face of metal surface. Screws should be installed on centers equal to 1 screw/sq. ft. and must not exceed 6″ on center in one direction. Apply 1/2″ to 3/4″ scratch coat and allow to dry 48 hours. Please note: QuarryCut thin stone by definition is an adhered stone supported through the adhesion of an approved bonding material applied to an approved backing. All installations shall follow guidelines of ASTM C926 (Application of Portland Cement-based Plaster) and ASTM C1063 (Installation of Lathing and Furring to Receive Interior and Exterior Portland Cement-based Plaster). Water-resistant barrier shall be minimum 2 separate layers Grade D paper (ICC-ES Acceptance Criteria AC38). Lath shall be minimum 2.5 lb. or 3.4 lb. self-furred meeting ASTM C847 (Specification for Metal Lath). Weep Screeds shall be installed at bottom of the exterior stud walls in accordance with ASTM C1063. Verify that all flashings have been installed properly and integrate with the water resistive barrier to prevent water penetration into the structure. It is important to recognize that QuarryCut thin stone is a natural veneer, a facing attached to the wall for purposes of providing ornamentation. It is not intended as a structural product or a waterproofing element. Most importantly, the real expert is your local building department and local building code. 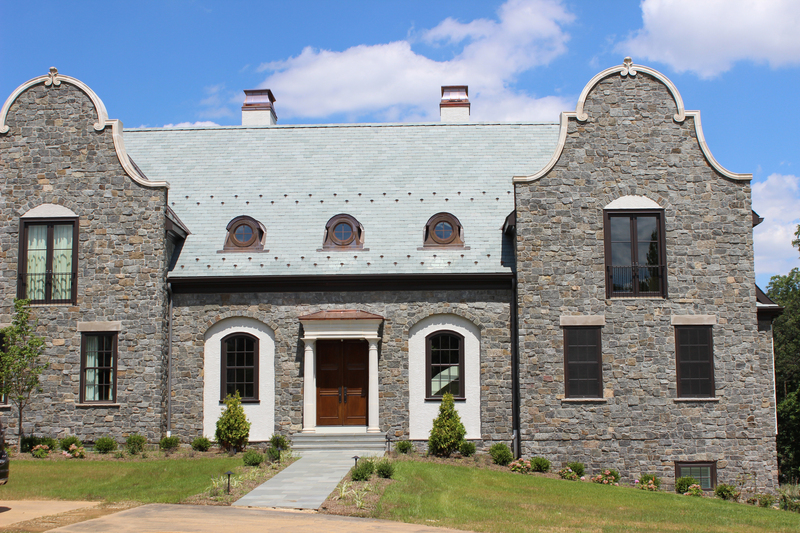 Your local building code will supersede all other written or verbal installation instructions provided by QuarryCut Thin Stone™.